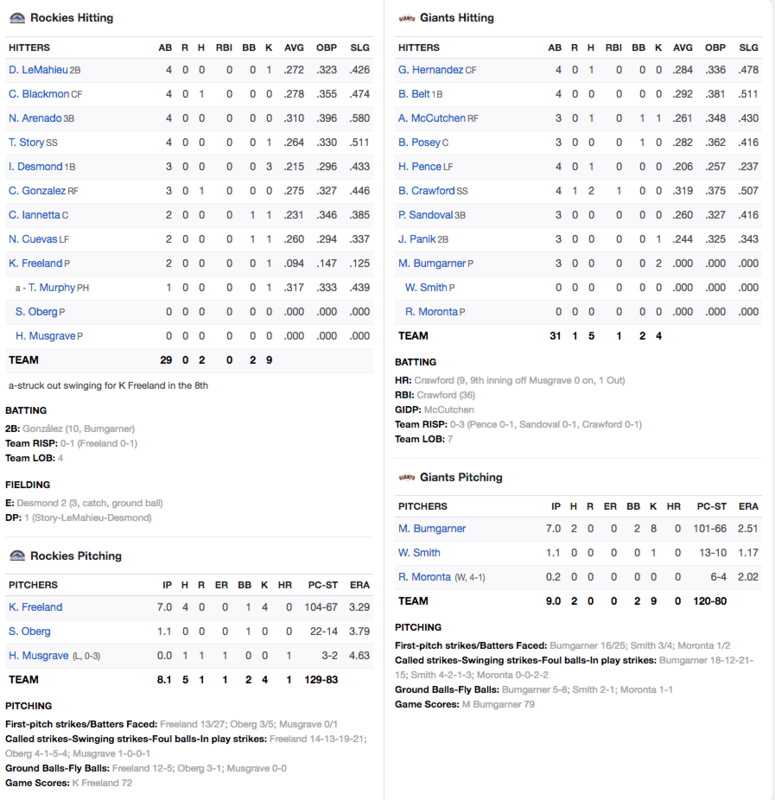 Madison Bumgarner was dominant in last night’s thrilling 1-0 victory over the Rocky Mountain Men of Denver, pitching 7 innings and allowing only 2 hits and 2 walks with 8 strikeouts. He now has a consecutive scoreless innings streak of 16, dating back to his start in Los Angeles against the dreaded Bums. Vintage 2014 Bumgarner is now turning into Vintage 2018 Madison the Giants Great Pitching Hope. Madison Bumgarner recorded his 1,500th strikeout during the game. Congrats to Mr. Mountain Man of North Carolina. You only have 4,214 to catch the leader, a superhuman named Nolan Ryan. 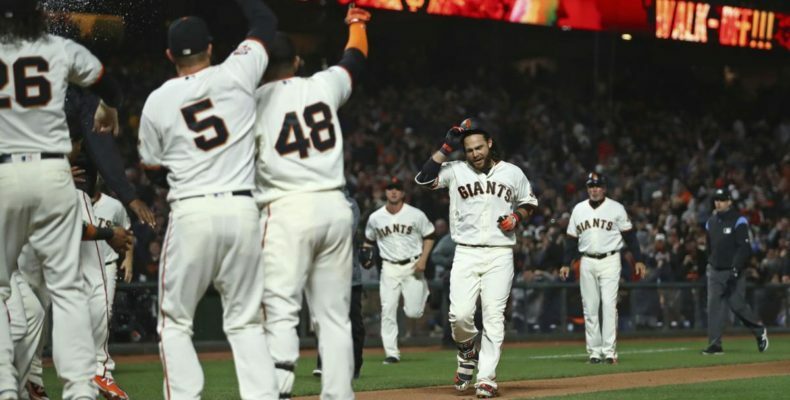 Oh yeah, Brandon Crawford won this classic good old-fashioned pitcher’s duel with a a soaring and majestic home run in the bottom of the ninth that made me yell at 12:45 AM in my living room and probably wake up a few neighbors in the process. BCraw is my vote for first half NL MVP. If he keeps this up he will be everyone’s vote. He has been that good in all phases of the game. The Giants are officially hot, going 8-2 in their last ten and ending the first half of the season 42-39. I reckon they need to go 48-33 the rest of the way to make the postseason. It’s doable. For now, let’s enjoy this very exciting win. Today, the Giants end their ten game homestand against the Rockies, looking for a sweep. Jon Gray goes against Chris Stratton. First pitch is at 12:45 Bobby Bonds time.